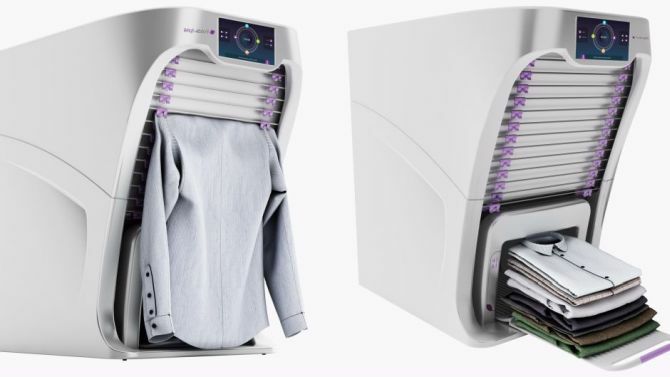 After three years of development process, the team behind FoldiMate has been able to create this refined 28 x 32 x 31-inch machine that can fold as well as freshen up your clothing. At one time, the user can clip 15-20 items onto the front of the machine. FoldiMate further folds one cloth at a time and uniformly fold it. After all the clothes are done, these are piled on a pull-out tray, which can hold 10-30 items. While folding laundry, the machine also stem, de-wrinkle and perfume all the clothes. However, it’s not meant to replace ironing of clothes. It take nearly five seconds to clip clothes onto the place, around 20-30 seconds for de-wrinkling and 10 seconds for the folding process. The machine can neatly fold various items like shirts, pants, towels and pillowcases. But it is not suitable for large items like bed sheets or small items like underwear or socks. Target price of the FoldiMate is estimated to range between US $700-$850. 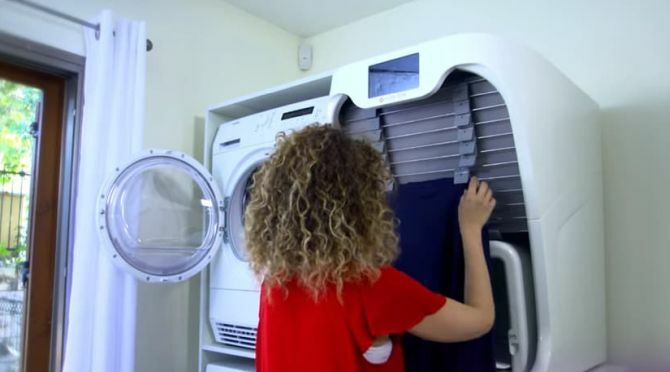 Although it is not an essential item, but it could be beneficial for large families that cannot manage washing and folding of laundry of all family members.